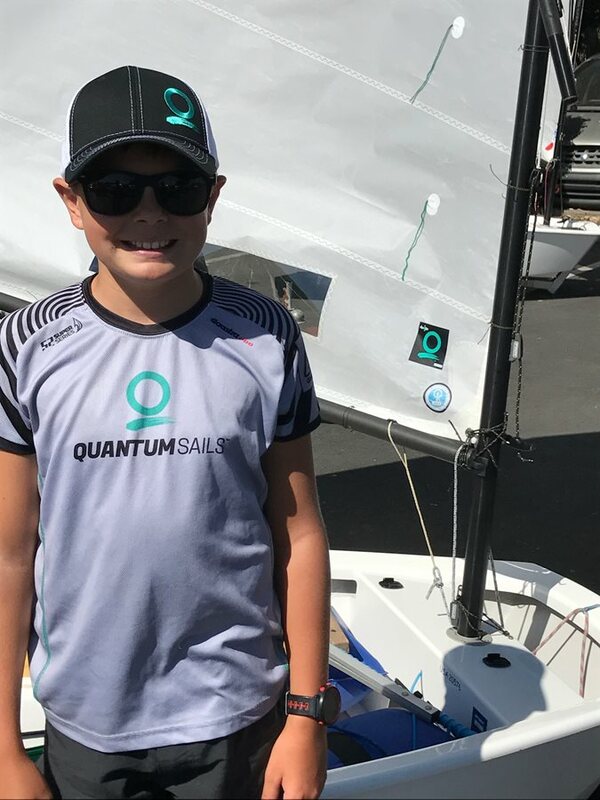 Eleven-year-old Sean Mahoney is a fourth-generation sailor who sails on the Junior Opti Race Team for St. Francis Yacht Club on San Francisco Bay. Sean took some time to talk with us about how he got started sailing and what he likes about it. Quantum: You are eleven years old. What grade are you in and what's the name of your school? Sean Mahoney: I’m in 6th grade and I attend Los Cerros Middle School. Q: When did you start sailing? SM: I’ve been sailing my whole life. We have a family sailboat named The Irish Lady and that’s how I first started sailing. The Irish Lady is a Catalina 42. I went to my first sailing camp when I was 9 and that was my first time sailing in small boats, such as the Tera and Opti. Q: What do you like most about sailing? SM: I like how the community is nice. I like how unique the sport is and that not many people do it. I also like the way that on the water it’s competitive, but on land everyone is nice to each other. Q: What's your favorite part of racing? Q: Yes, of course! What else do you like about it? Q: Have you ever gotten a racing foul or had trouble on the race course? If so, how did you recover? SM: One race I flipped my boat 3 times, but I kept flipping it back and kept going. I got 5th place, but I didn’t give up even though the boat was filled with water. SM: I capsized my own teammate! We were jibing and she ran into me and I kept going and she flipped her boat. Q: Which sail do you use? SM: I use the Quantum XR-1 as my race sail. Q: What are your sailing goals? 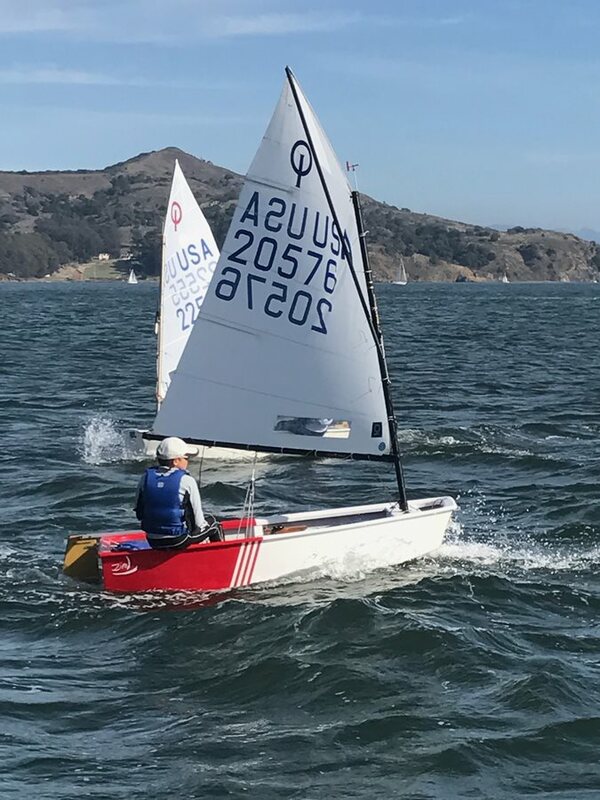 SM: To go to a national regatta and qualify for the team trials and make the Opti USA team. I also want to sail a 49er or maybe a Nacra 17’ multi hull someday. And it’d be really cool to sail in the Caribbean where the water is clear and warm. Q: What advice do you have for other new sailors? SM: Don’t give up. You don’t need the best stuff to be fast, all you need is a boat and a sail to win a race. Listen to your coach and don’t be scared if it’s blowing hard or if you get water in your boat. Q: What's the best advice you've been given from a coach? SM: If you follow the leader, you’ll never beat them. Find your own route and look for better wind. Q: Other than sailing, what other activities do you like to do? SM: I play soccer and I like wakesurfing and wakeboarding. I also like to ski in the winter. SM: A Marine Biologist and a sailor.